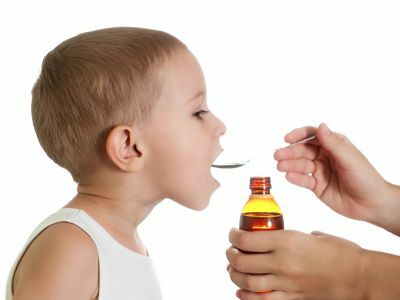 Children Medication Errors and Infant Prescription Errors | Kennedy Hodges L.L.P. How a spoonful of medicine can hurt your child. If a pharmacy writes the wrong dosage instructions on a prescription, one extra dose of medicine can seriously harm a child. Many times doctors write prescriptions based specifically on a child's height and weight. As a parent, it's important to know how you can protect your children from medication errors. You can avoid every parent's nightmare by downloading our free checklist, "10 Tips to Protect Your Children Against Pharmacy Errors." Medication errors can significantly threaten a child's life more than an adult's for several reasons. Children may not show symptoms of medication errors and infants and very small children cannot tell their parents they don't feel well. One misplaced decimal in a child's prescription can result in a tenfold medication error that turns into every parent's nightmare. The actor Dennis Quaid's newborn twins almost died in 2007 after being given a dose of blood-thinner that was 1,000 times the prescribed dose. Many parents have gone through the devastating ordeal of losing their infants because of similar errors. The unfortunate fact is that most of these errors are preventable. You can avoid every parent's nightmare by downloading our free checklist. The same causes of medication error apply and in many cases children can become extremely sick because of a pharmacy error. How do I know if I need an attorney for my child's pharmacy error case? If your child was harmed because of a pharmacy error the last thing you should be concerned about is trying to deal with a pharmacy that will use any method to reject your claim. The best way to make a pharmacy take accountability for their mistake is to contact a board certified pharmacy error attorney to represent your family. By doing this, the pharmacy will know you are not going to sit and accept their mistake. If you're unsure that you need an attorney download our free book to find out how to get a pharmacy to pay for your prescription error damages. You can also call our office at 888-526-7616 to start your free case review today.